It’s not often that really “big” news is made in the Social Selling world. One of those times hit back in May. The big news came from a study that dealt with social media usage as it related to business-to-business (B2B) sales performance and corporate revenue. Among many other things, it found that Twitter was actually favored more by salespeople than LinkedIn. The margin wasn’t a wide one, but it was definitely there: 1,301 salespeople said Twitter was their #1 “go-to” social platform, while 1,273 sales-types said LinkedIn was their top platform. This study was so illuminating that it’s still being hotly discussed… two-plus months after it was released. My reaction to the Twitter versus LinkedIn piece? Duh. You are absolutely right about that. 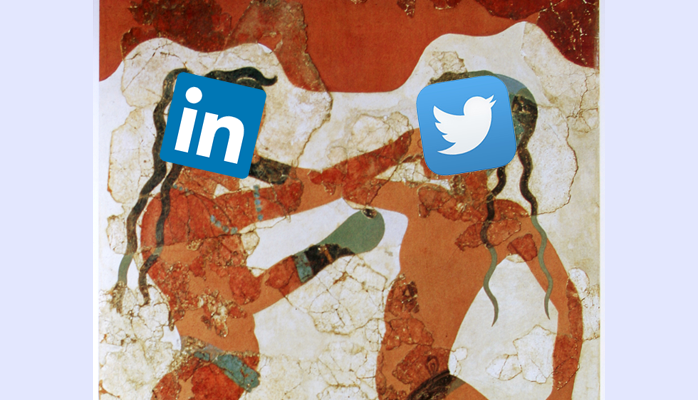 Of the two platforms, LinkedIn provides more value. It is also the more professional one. But even though Twitter can be a cesspool of… well… I don’t even need to get into that here… it can be successfully used as a part of your Social Selling strategy. What you need to do, though, is think of Twitter differently than LinkedIn. 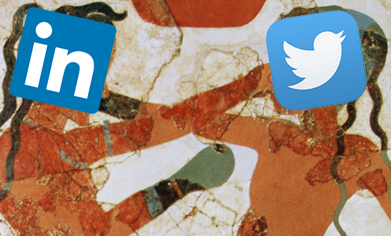 Twitter and LinkedIn are pretty much two completely different animals. LinkedIn is a true networking platform that has so much going for it (and going on with it), I can’t list it all in just one sentence. Twitter is more of a broadcast platform that is also easy to search. While it does have some networking capability, it’s nothing like LinkedIn. Then again, Twitter doesn’t really want to be LinkedIn. That’s why I view all of this as much more of a “Twitter + LinkedIn” matter than a “Twitter vs. LinkedIn” question. In my mind, Twitter is most effectively used as a channel to bring Twitter users to your LinkedIn Profile or published content, as well as to your other channels (blogs, news releases, content from other publications, etc.). Think of Twitter more as an extension, but not necessarily a duplication, of your LinkedIn News Feed than anything else. For all of its usefulness, Twitter does something better than LinkedIn: It broadcasts whatever message you want to put out there (as long as your Twitter feed isn’t set to “private,” of course). Twitter not only broadcasts this to your followers, but to anyone you want to see your message via keywords and especially hashtags. All they need to do is have enough curiosity or a need for the information to search for it. There’s other more-advanced ways to use Twitter, of course. And you can (and should) engage others on Twitter. I’ll be covering all of that and more in future articles. But for my money, Twitter is the easiest way to both broadcast your message and to have it found by those interested in what you’re selling or offering. I call this strategy Channeling. By the way, Facebook was a close third, with 1,247 people claiming it as their #1 platform. That’s a bit surprising to me, especially considering that just 19% of the salespeople surveyed indicated they sold to consumers; Facebook is great for that kind of sales pro. The study’s authors never came out and really said how any of these platforms were being used by their survey participants—to be fair, that would be a bit difficult to quantify in a study like this—but I’d definitely like to know how they’re using Facebook. No matter how you slice-and-dice the numbers, though, it’s clear that as Social Sellers, we cannot be too myopic by focusing on just LinkedIn. While it’s still the place to build your presence as a key-opinion leader in your field, as well as convert lookers to potential buyers, there’s more ways than one to funnel your potential clients to it. Twitter is probably the best way to Channel a potentially wide audience to your LinkedIn Profile or content. We have always taught the usefulness of Twitter. With these new numbers being so strong, though, it’s now time to talk about this “channeling” strategy more often, and at a louder volume. Believe me, we will.